You may be thinking, 4th trimester…. Tri means three, so how is there a 4th?! Okay, okay I get you. But with all that aside, there is really something magical that happens when you honor the first 12 weeks of your baby’s life, and making bonding a priority. I’m talking breastfeeding, baby wearing, co-sleeping and the most widely used through all parenting view points… SWADDLING! Spending the first 3 months of your babies life bonding with them will help them to feel secure will actually encourage their independence as they get older. Your babe was just snug as a bug in a rug inside of you. It was warm, it was dark and it was COZY! I truly believe that swaddling your baby will lead to deeper, longer, more content sleep for you and your baby! No matter where you baby is sleeping, in their own room, a crib, a pack n play, a baby lounger or your bed. 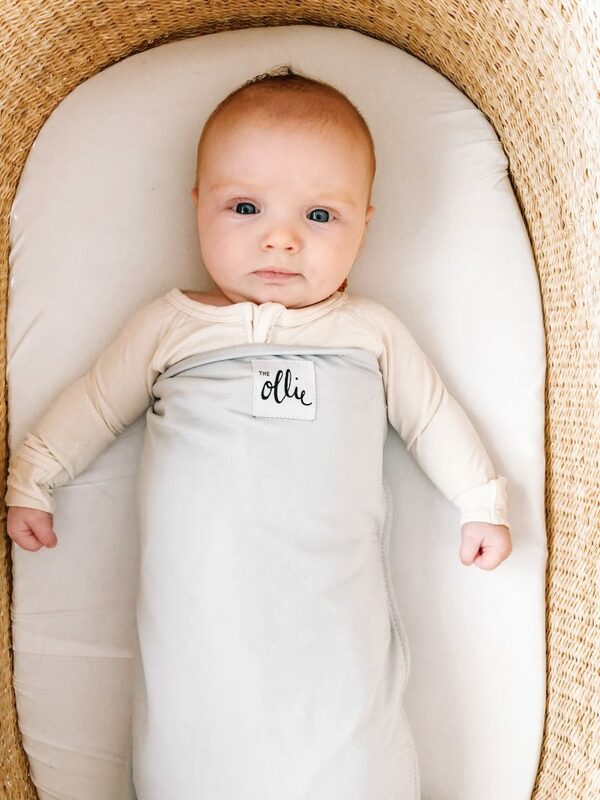 We are loving the Ollie World Swaddle for a few reasons! Okay at least five. This swaddle is extremely versatile, baby can have their arms out, arms down, one arm out, arms crossed, whatever works! One size fits all! 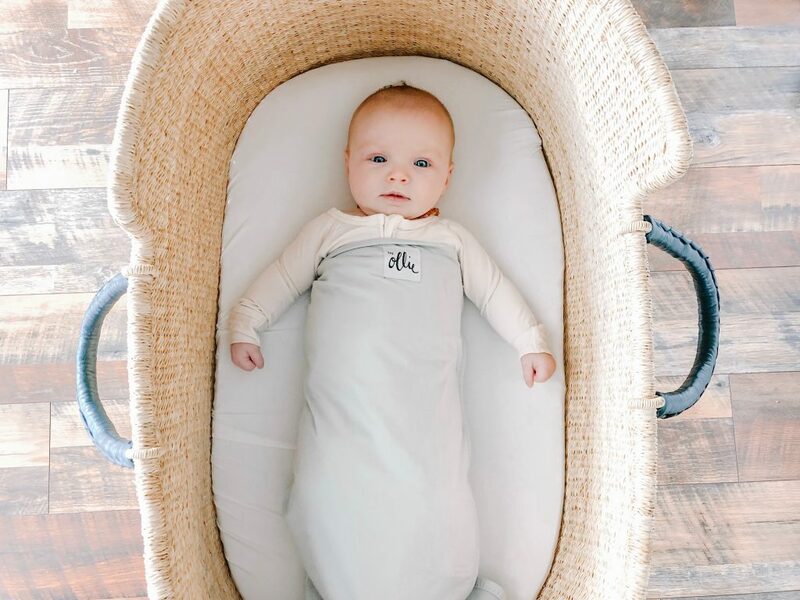 No matter how quickly you baby grows, this swaddle will grow with them! The bottom opens for hassle free diaper changes. The fabric is moisture wicking to prevent over heating. Super buttery soft fabric for new and sensitive skin. Don’t let the price point of this swaddle scare you! 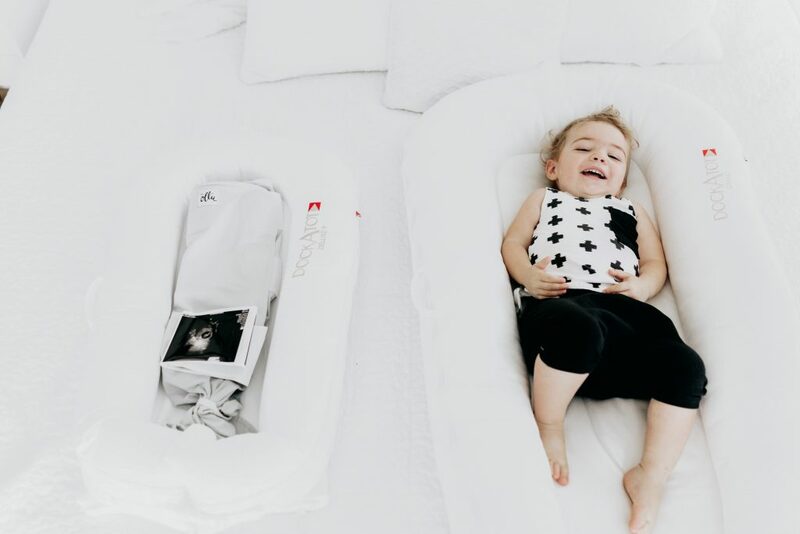 You will spend 2x that amount testing out different swaddles that only allow one arm position and having to buy multiple sizes! 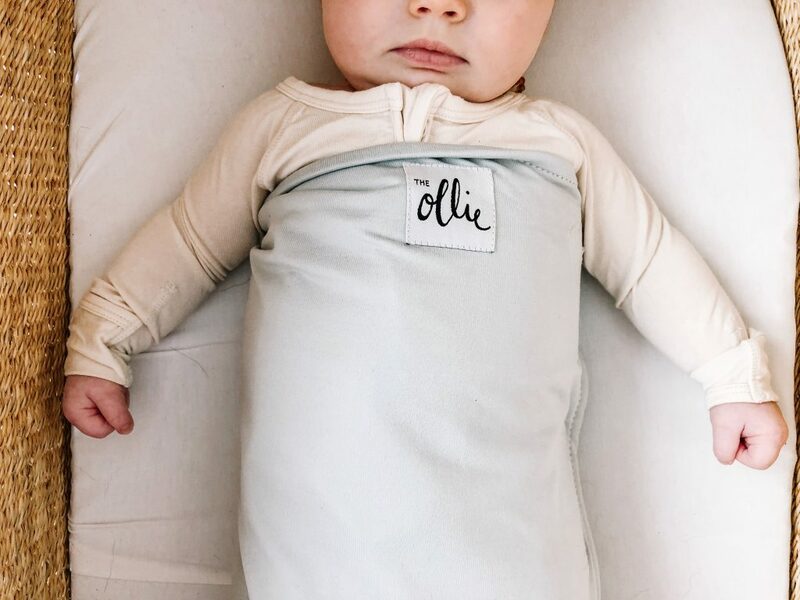 The Ollie World Swaddle is perfect for your baby registry, or if you are reading this needing your baby to catch a few more Zzz, look no further! Thank you Ollie World for gifting us this swaddle in exchange for an honest review.